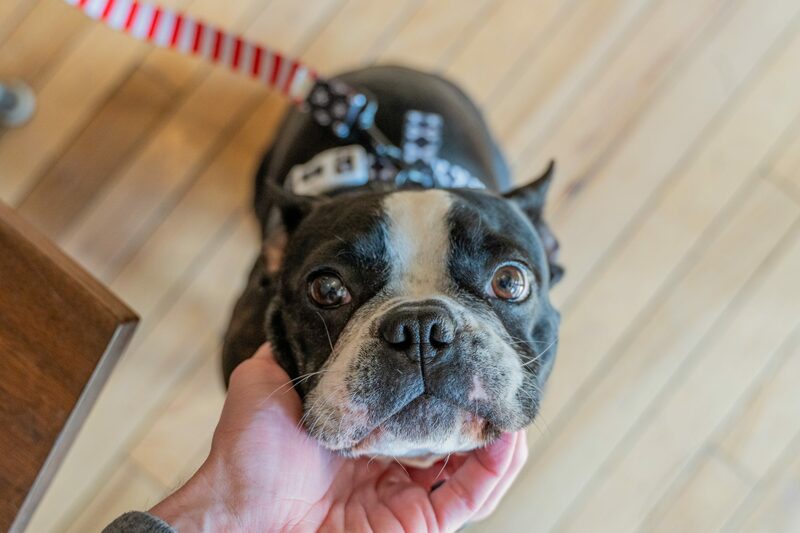 If you are considering adopting a Boston Terrier, or just want to know more about them, we’ve compiled all the information you might need to make informed decisions regarding their care. We’ve included details about this breed’s physical characteristics, activity needs, grooming tips, nutrition, and more. 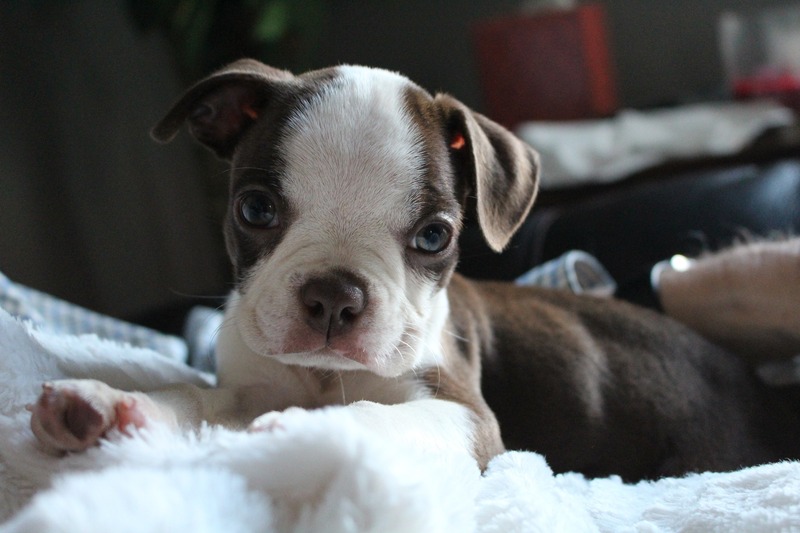 With irresistibly cute faces and spunky personalities, the Boston Terrier is an enjoyable and lively breed. According to the American Kennel Club (AKC), these doggos are recognized by their tight tuxedo jacket, sporty but compact body, the friendly glow in their big, round eyes, and their impeccable manners. They truly are impressive puppers! You can adopt a Boston Terrier at an animal shelter or find a breeder. It’s important to look for breeders that can provide detailed health records of their puppies (and parents!) as well as genetic testing for health conditions. 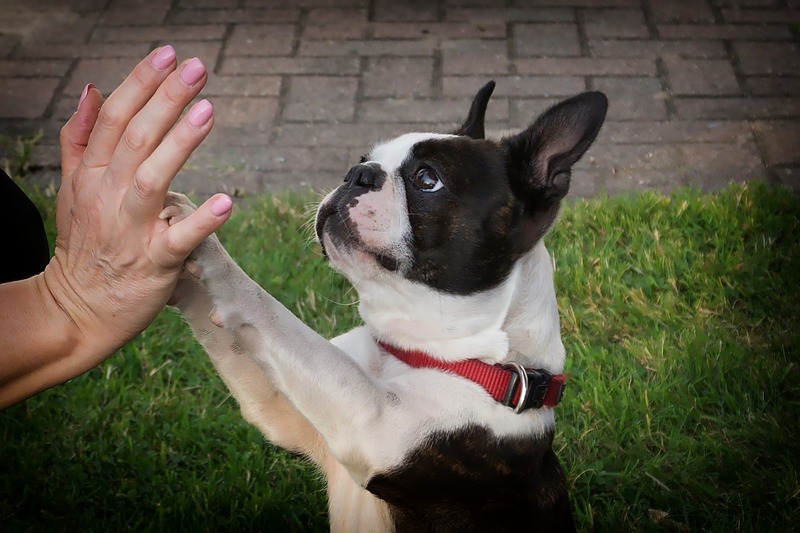 The Orthopedic Foundation for Animals (OFA) and their Canine Health Information Center (CHIC) maintains a voluntary database of Boston Terriers and their health screening results. Originally Boston Terriers were known as “Round Heads,” but in 1891 they were renamed Boston Terriers to reflect the breed’s birthplace. Two years later, the AKC officially recognized the Boston Terrier. These pups were one of the first American breeds to be recognized by the AKC. Boston Terriers might be small in stature, but they’re sweet as can be. For more than 100 years they’ve been bred to enjoy the company of people, making them ideal for animal-assisted work where their sole job is to put a smile on patients’ faces in nursing homes, hospitals and other health care facilities. Ever seen a Boston Terrier compete? These dogs can really hold their own in the highly competitive world of canine sports. Their innate desire to please people is a big part of the breed’s ability to quickly learn and excel in a variety of performance events. A circle of dark hair on top of the Boston Terrier’s head is known as a “Haggerty dot” or a spot or star, depending on who you ask. Dogs with this special marking are descendants of one of the original lines of Boston Terriers owned by the Haggerty family in the early 1900s. Boston Terriers are compact and have a short tail. According to the AKC, these doggos typically weigh no more than 25 pounds and their tuxedo-style coat can be white and black, dark brown, or brindle. The head is square, the muzzle is short, and the large, round eyes can shine with kindness, curiosity, or mischief. Ever alert to their surroundings, Boston Terrier’s move with a jaunty, rhythmic gait. When bringing your new pup home, everything is new to them; scents, sights, people. As you can imagine, this can be truly overwhelming! Try keeping your house relatively calm for the first week and offer a consistent routine so your pup has time to adjust to their surroundings. 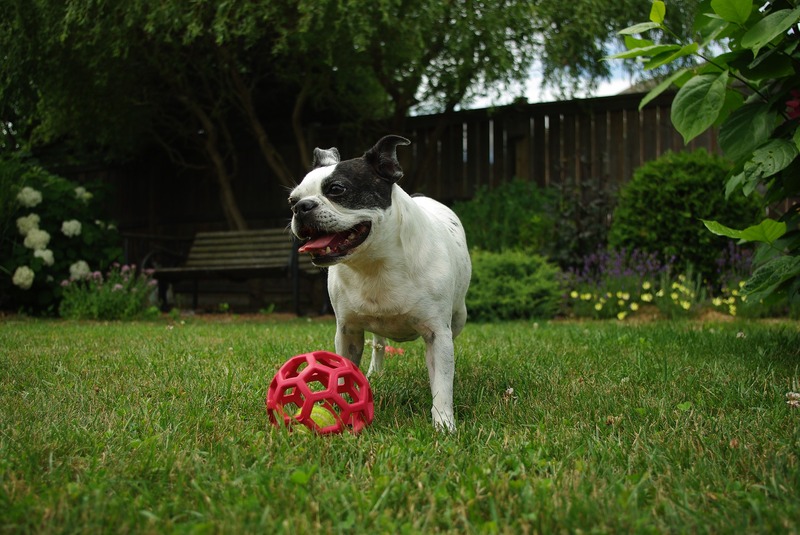 This will allow ample time for your Boston Terrier to adapt to their new life with you. They’ll soon feel right at home. Have you thought of a name yet? It can be one of the more surprisingly difficult tasks when it comes to bringing a new dog into your life. You want the name to fit them perfectly, right? Plus, there are so many good ones to choose from. Once you’ve found the most fitting name, repetition is key. They’ll respond when called in no time! A balanced diet is vital to your pup’s growth and health. According to the AKC, the Boston Terrier should do well on a high-quality dog food, whether commercially manufactured or home-prepared with your veterinarian’s supervision and approval. Any diet should be appropriate to the dog’s age. Some dogs are prone to becoming overweight, so watch their calorie consumption and weight level. Treats can be an important aid in training, but giving too many can cause obesity. If you’re unsure about what to feed your dog, talk to your veterinarian about a meal plan. Each Boston Terrier has different needs when it comes to exercise. The AKC recommends a brisk walk once or twice a day for some. Others will need more time to run and play every day and let off steam. Simply letting a Boston Terrier out into the backyard doesn’t count as exercise—he’ll probably just sit at the door waiting to be let back in. Left alone for long periods of time, a Boston Terrier will tend to become frustrated and develop undesirable behaviors. Don’t forget to consult your vet about your Boston Terrier’s specific exercise needs! The Boston Terrier has a sleek coat that does shed, but infrequently. Because of this, the AKC proposes that you brush your Boston Terrier weekly with a soft-bristle brush or rubber grooming tool. These pups need to be bathed occasionally and their nails should be trimmed regularly. It’s also important to keep their teeth and ears clean! The Boston Terrier has a lifespan of about 13-15 years. According to VetStreet.com, your Boston Terrier is considered a senior pup after turning 8. VetStreet also reminds us that Boston Terriers are among the flat-faced, or brachycephalic, dog breeds. While endearing, flat faces bring with them many health problems, some minor such as snoring and snuffling, while some issues are more major. Speak with your vet about proper care for your Boston Terrier’s adorable little snout. Do you have your pup’s exact date of birth? If not, maybe you’ve come up with a day of the year to celebrate them! Check out our guide to getting your pupper’s party started!